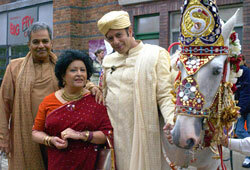 Bombay Baja are the UK�s Leading Indian wedding band and have been performing to wedding guests ever since they first formed in 1998. 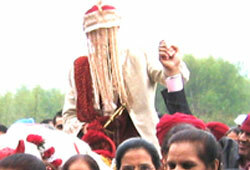 They usually lead the procession with the groom and the rest of the bharaat singing, clapping and dancing behind. 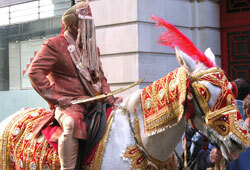 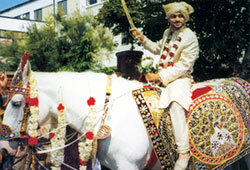 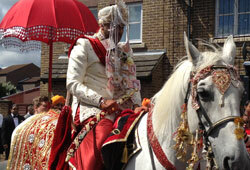 Whether It�s a Sikh, Hindu, Muslim or Christian wedding, they guarantee to create a carnival atmosphere.